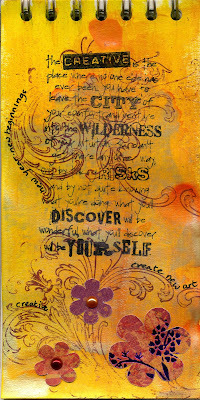 Gingersnap Creations is pleased to welcome The Artistic Stamper as our February Challenge sponsor. It was a delight to sit and talk with owner and artist, Jennie, and find out more about her, The Artistic Stamper and her personal art. Q: How would you describe The Artistic Stamper to someone who hasn't visited your store yet? A: Ooh big question! Primarily, we are a rubber stamp manufacturer, so obviously the stamps come first, but we try to add product into the store that you can use with stamping, like inks and powders and altered items that you can make stuff with. We always try to keep up to date with new products and often have *stuff* other stores don't. As a Ranger Educator, I try to stock most of their products. 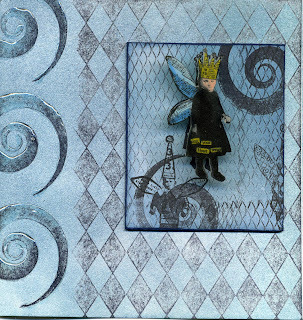 There is always lots of inspiration on using our stamps and products from our creative team and myself on our blogs. 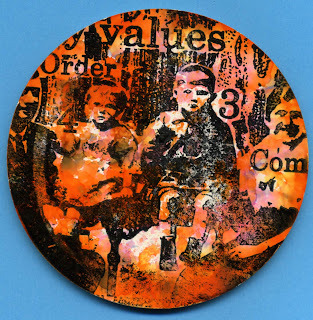 Q: What inspires your choice of new stamping images when you are creating new collections? A: A lot of my inspiration comes from looking at magazines, the worldwide web, and general trends in the fashion/craft world and what I need when stamping. I very rarely look at other people’s stamps as I have always maintained that they stick in your head when designing, so I have tried to create designs that are fresh and new, and that are clean lines, so they stamp perfectly. Almost all of the designs are compatible, so you can combine them, and use them with other ranges. 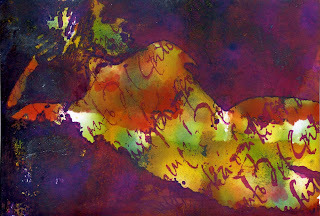 Stampers use lots of different stamp together to create artwork, and I like to provide them with images that you can do that with. I don't design collage style stamp as I feel they are very restrictive and you can only use them for one image, whereas you an use several of my designs to create collages. I love new challenges in designing stamps, and Hels' Stitchels are fresh and different to the norm, as well as Mabel Lucie Attwell, which I adore as they are classic, and retro drawings that work perfectly for the "cute" market, without being too cute. Dare I say it? They have mouths and eyes!! Q: You have a wide-range of images but you also manufacture cushion to go with your lovely unmounted stamps. Can you tell us about Kling-On Repositionable cushioning? A: Kling-On Repositionable Cushioning ® came about several years ago. I was asked to test a product which was the forerunner of what is commonly known as EZ Mount in the USA. The potential for this product was immense and all my creative juices flowed at the thought of it! I did originally use the generic product and marketed it as Kling-On. However, shipping from the States proved too expensive, and my husband, Mal, and I developed a similar product manufactured here in the UK. It is softer and easier to cut than EZ Mount and has the same clingable qualities. It is now sold throughout the UK and in Europe. Q: As well as creating great collections for your stamping lines, you are very involved in creating art on a regular basis. How would you describe your creative process? A: Most often or not, I will follow a challenge which kick starts my creativity. Sometimes I need to promote a new set of stamps or product, so that will be the basis of my start, but sometimes I just need to make art! I have several projects which are on my desk, which have been on the go for a couple of months, as I cannot seem to find the time to finish them! I don't often plan the work, it just happens, sometimes very good, sometimes just plain awful! I don't do complicated, the easier the better, and the cleaner the better, although I have become more grungy of late, but with bright colours! I am definitely a red, yellow and more often than not blue girl! Q: You trained as a jeweller before getting into stamping and mixed media art. How does that background influence your creations today? A: Such an easy question, as I love tactile, must have bits you can play with touch, feel, be 3D! I often forget I was a jeweller, so when I make something into a brooch or earrings, I think oh! that's what I was meant to do with it! 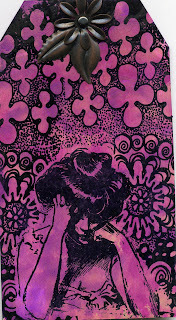 Sometimes when designing stamps, I do think of that will make a nice piece of jewellery. All the mixed media products, UTEE, shrink plastic, polymer clay, Grungepaper and board, Idea-ology pieces (Tim must have had me in mind when he designed them!) all make wonderful mediums to make stamped pieces, and have that touchy-feely aspect too! Making plain flat cards for me is almost a no-no, but I have been known to make them! I often wish I could just spend all day creating artwork! Q: I follow your blog and you are always creating something new. You must have a fantastic studio! Can you describe your workspace for our readers? A: Haha! My office is my studio too, although I do have a workshop/unit where we manufacture Kling-On and store product. I would love a studio only, but at the moment that is not to be. So I share my office space (where I sort out orders, the continual paperwork involved with running a company), with lots of stamps, scrapbook paper, more bits than you can imagine, a desk in the window ( so I can look out on the world beyond my room) , where I create art, and my computer ( where would we be without one?!). I am surrounded by chests of drawers full of *stuff*, antique beads, ribbons, inks, and lots of books! The floor space is a premium, but I do know where everything is! Q: You are a guru with Grungepaper. What do you like about this medium and what is your favorite thing to do with it? A: Am I? Thank you for the kind thought. I do like this medium and cannot wait till Tim's new dies are released so that I can play more. It does have a quality like nothing else, and you can manipulate it quite well. I guess being a latent jeweller gives me a little bit more scope than others, so I can see possibilities for it. I certainly don't think it has reached its potential yet! 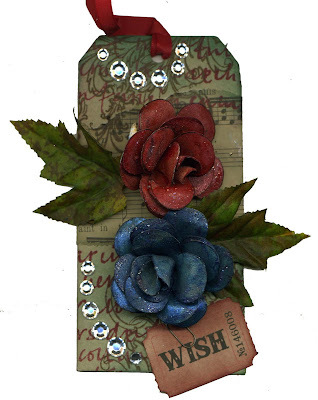 Grungepaper Roses have been my medium all last year, so at the moment that is probably my favourite make with it! Q: Valentine’s Day is just around the corner. Do you have any favorite Valentine projects? Q: You had a very busy 2009! What new and exciting things are happening at The Artistic Stamper this year? A: 2009 was certainly busy for us and we are hoping 2010 will be the same. We have lots of new Mabel Lucie Attwell designs coming out, around 10 a month most months, and we will be designing new stamps too! We have a couple of new projects in the pipeline, but cannot reveal anything yet! Q: Every interview, I close with the same question. I now put that same question to you. What is your favorite part of being part of the stamping community? A: I love it all. Mostly, I love meeting stampers in person who have used our products, and absolutely adore seeing what is being created out there. 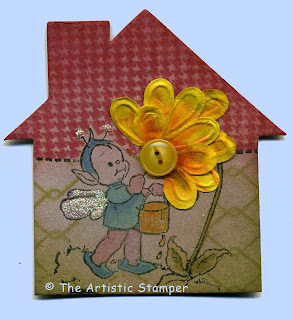 Stampers are the most generous people in sharing their ideas and creations. I get so excited when I discover a new technique or idea and just want to share it with everyone. We have such a wealth of talent out there. Long may it live! I would like to thank Jennie again for spending some time with me and the rest of the Gingersnappers! All the art in this post was handcrafted by Jennie. 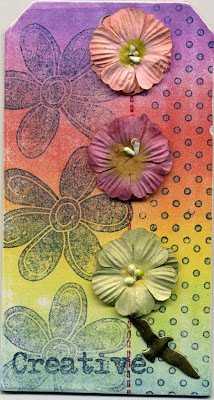 If you would like to see more of her creations, you can go to The Artistic Stamper blog. Jennie will also be doing a guest post or two for us in the coming month so be on the lookout for more of her beautiful art on Gingersnap Creations! Wonderful interview and gorgeous artwork!!! Thanks for another great interview! What a wonderful read this morning! Beautiful artwork! I saw this post come up whilst I was at work (don't tell the boss) but saved it till I got home - I love these manufacturer interviews you do, they are always so interesting. I never knew Jennie used to be a jeweller. Thanks to Gingersnap and Jennie. Great interview Jennie and your art is fantastic! Well it is great to learn even more about you Jennie and your creative life! And good to know my space isnt the only one who gets cluttered! LOL. Great inspirational art!